The international search for accomplices and supporters of the Oslo and Utøya attacks suspect Anders Behring Breivik has begun, as Norwegian police revealed that he had been on one of their lists as early as March. His links to British far right organizations and extremists have sparked an investigation in the country. Breivik’s 1,500-page online manifesto, signed with the anglicized pseudonym “Andrew Berwick” and claiming to have been written in London, mentions a number of links to the far right in Britain. The suspected terrorist further claimed in his appearance in an Oslo court on Monday that there were two further “cells” in operation to which he was connected. Breivik’s manifesto mentions a British mentor named “Richard,” who is yet to be identified but is believed to be named after the British king “Richard the Lionheart,” famed for his involvement in the Crusades. One British newspaper, The Daily Telegraph, claims to have found a blog written by someone calling himself “Lionheart” and authorities are now investigating. 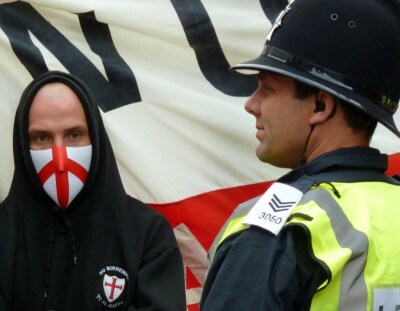 The “Lionheart” blogger’s real name is Paul Rey, who claims to be a “founding father” and active participant in the English Defence League (EDL). 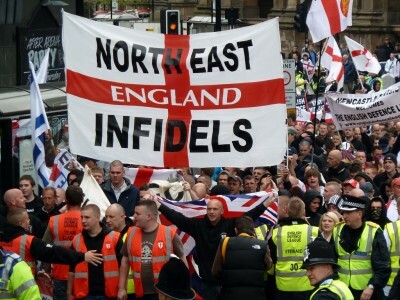 The EDL has held a number of violent anti-Islamic demonstrations in the UK in recent years. In his manifesto, Breivik said, “I used to have more than 600 EDL members as Facebook friends and have spoken with EDL members and leaders.” He claims to be “one of the individuals who supplied them with processed ideological material (including rhetorical strategies) in the very beginning.” In other comments attributed to Breivik online, he states that a key strategy for “Christian conservatives” in Norway is to establish their own version of the EDL. The EDL have released a statement that reads, “we can categorically state that there has never been any official contact between him and the EDL.” Nonetheless, a number of EDL members have informed The Daily Telegraph that they have had contact with Breivik. He is believed to have been in London as part of a far-right solidarity demonstration when Dutch politician Geert Wilders visited Britain. A source in the Norwegian Defence League (NDL) has now also confirmed to newspaper Aftenposten that Breivik was a member, and that he used the pseudonym “Sigurd Jorsalfar.” Breivik was apparently active in the organization’s foundation but became increasingly less involved because “he believed we [the NDL] were too kind.” The NDL arranged its first demonstration on April 9, when just nine followers showed up and a large counter-demonstration was held by anti-fascists. The source said that the group “completely and utterly” distances itself from the attacks. A British police expert has already been dispatched to Oslo to assist the police in identifying Breivik’s international connections. Europol are also assisting the Norwegian police, making use of their continental database of known far right extremists. Meanwhile, the Norwegian Police Security Service (Politiets sikkerhetstjeneste, PST) confirmed on Monday that Breivik had come to their attention in March on a list of people who had bought products from a Polish firm selling chemicals. Breivik was reportedly checked but no further action was deemed necessary.